Welcome to our In The Press/Immigration Photos Page! 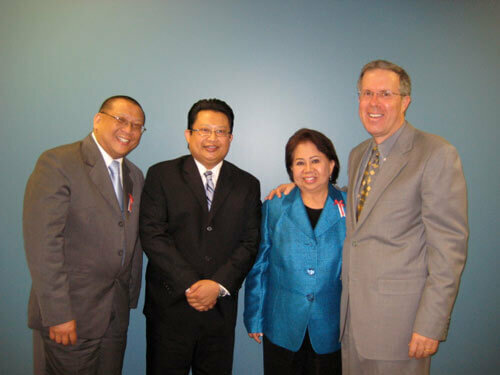 During the past 30+ years, we have taken photos with clients on the day they won their immigration cases as well as photos with US Senators and Representatives, Federal Judges, USCIS officials and with a future President of the United States. Many of these stories have be covered by the New York Times, the Wall Street Journal, CNN, the Los Angeles Times and other major media. Using these photos as illustrations, we tell you the stories behind the photos in the hope that they will inspire you with your immigration case. Members of Congress: Meet the Campbells – Jiovanna Campbell was forced to spend a year in Mexico separated from her husband Ryan, due to her parents bringing her into the country illegally when she was 3. 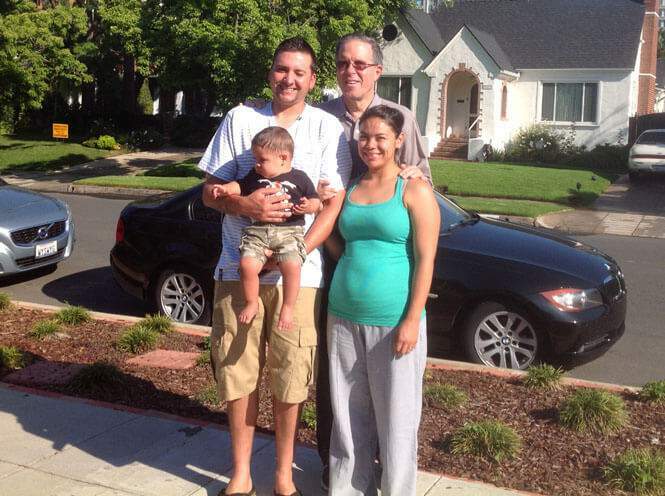 See what we did to reunite her with her family in the US. 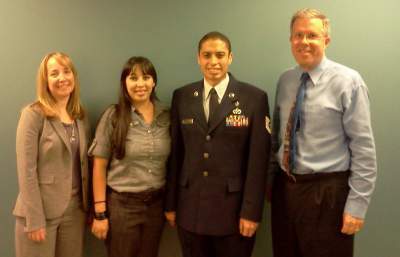 Air Force Sergeant’s Wife’s Immigration Nightmare – Karina Magana, wife of Air Force Sergeant Luis Magana, was threatened with deportation due to a bureaucratic error on the part of the government. See how we solved her problem. Barack Obama & Attorney Carl Shusterman – In 2008, Attorney Shusterman chatted with Senator Barack Obama, then running for President of the United States, regarding the future of comprehensive immigration reform. Congresswoman Judy Chu & Attorney Carl Shusterman – Attorney Shusterman attends a meeting of immigration attorneys called by Congresswoman Judy Chu, a co-sponsor of the 2009 comprehensive immigration reform bill. Immigrant Family Spared From Deportation – The Promsiri family faced deportation to Thailand after living in the US with green cards for over 30 years. See how we prevented them from being deported and what happened next. 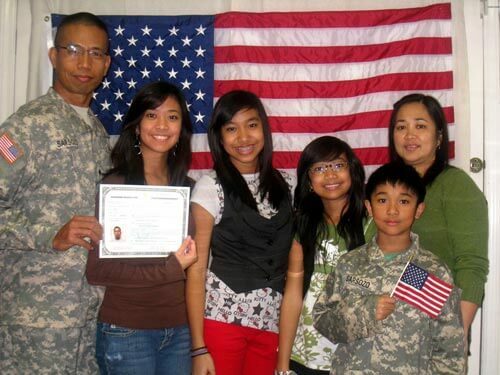 Immigrant Soldier Gains Citizenship – Soldier Dennis Sarsozo, born in the Philippines is sworn in as a citizen of the United States. Cabrera Family Wins Right to Remain in U.S. – After spending 5 years in deportation proceedings, Benjamin and Londy Cabrera are granted permanent residence. Their story will amaze you! 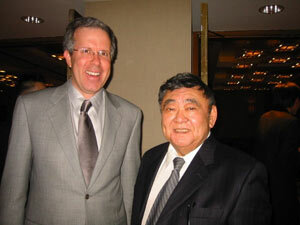 US District Court Judge Robert Takasugi and Attorney Carl Shusterman – US District Judge Takasugi was honored for his academic excellence and work for equal rights in civil and immigration affairs in March of 2005. Carl Shusterman Testifies Before Senate Subcommittee On Immigration – Attorney Shusterman testifies before the Senate Subcommittee on Immigration regarding the shortage of registered nurses, the maldistribution of physicians and other health care concerns. 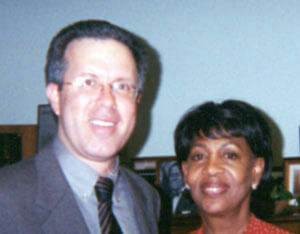 Congresswoman Maxine Waters Consults With Carl Shusterman – After meeting with Attorney Shusterman, Congresswoman Waters introduced legislation that would aid immigrant college graduates in remaining in the US after graduation upon receipt of a professional job. Senator Brownback Meets With AILA Attorneys – Attorney Carl Shusterman organized a meeting where AILA attorneys discussed pressing immigration issues with Senator Brownback, Chairman of the Senate Immigration Subcommittee. 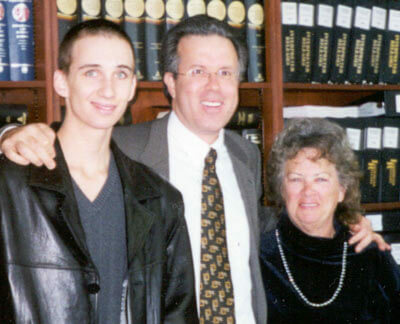 President Signs Bill On Behalf Of Guy Taylor – We helped a teenage orphan get a green card in a most unusual way thanks to Senator Diane Feinstein and President Bill Clinton. Private Romero’s 50-Year Odyssey To U.S. Citizenship – Private Romero achieves his dream of becoming a US citizen over 50 years after his service in the US military thanks to a little known section of the immigration law. 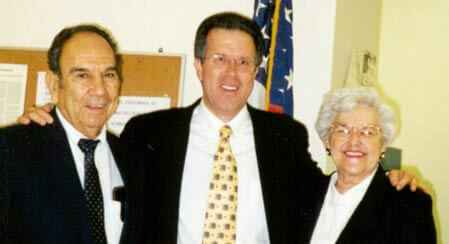 Senator Abraham and Attorney Carl Shusterman – Attorney Shusterman discusses the issue of delayed processing times for immigration petitions with Senator Abraham, Chairman of the Senate Immigration Subcommittee. Immigration Attorneys Meet With Senator Dianne Feinstein – Attorney Carl Shusterman and 3 other immigration attorneys met with Senator Feinstein of California to discuss the delays in processing for immigration petitions. Illegal Immigrant Marine Gains Green Card – After facing deportation, Sergeant Danny Lightfoot of the Marines is granted lawful permanent residence in the US. His story was covered by the national media. “Citizenship USA” Press Conference – Immigration attorney Carl Shusterman and INS Associate Commissioner Alex Aleinikoff attend the press conference launching the Immigration and Naturalization Service’s (INS) Citizenship USA program. INS Commissioner Launches “Citizenship USA” – Attorney Carl Shusterman with INS Commissioner Meissner after she announced a major initiative to address the unprecedented wave of increases in applications for naturalization. Congressman Howard Berman and Attorney Carl Shusterman – Immigration attorney Carl Shusterman meets with Congressman Howard Berman, a fearless champion of immigrants in the House of Representatives. Honor Student Beats Deportation, Obtains Green Card – Attorney Shusterman helps Miguel Perez, a Salvadoran refugee, obtain lawful permanent residence, which allowed him to get a Ph.D. and become a tenured professor. Chinese Artist Wins Right to Stay in the U.S. – Attorney Shusterman helps a talented Chinese artist get a green card after he was denied entry into the US while returning from a day trip to Mexico.